Is taking pictures of your friends on your phone, tagging their names and uploading them just too darn hard? Now there’s a free helper app for that, called Klik, which launches out of testing today on the iPhone. Using facial recognition, Klik can identify people even before a photo is taken — if you hold up your phone to take a picture of someone, Klik will guess who it is by hovering that person’s first name over the person’s head. If the app doesn’t get it right, it will give you its top choices and you can teach it to improve. 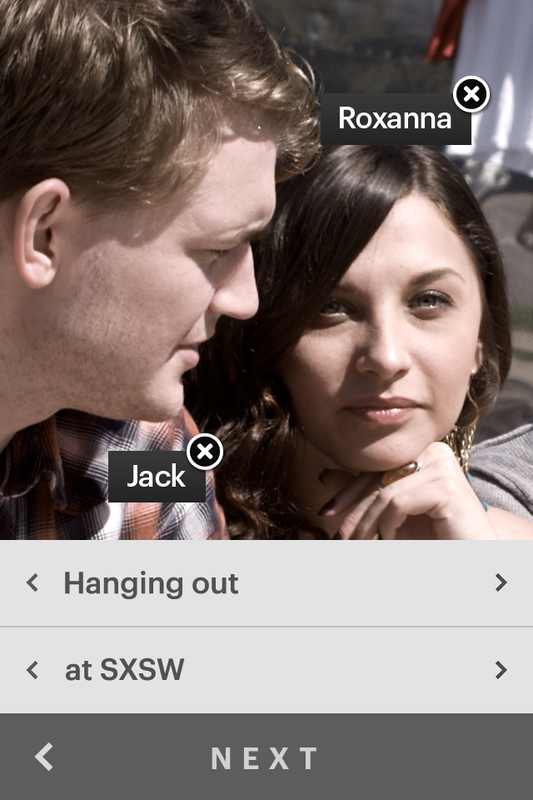 Then Klik helps users share the tagged photos on Facebook, Twitter, email and its own public social network. The app is made by Tel Aviv-based Face.com, which already offers a facial-recognition API to 45,000 developers to enable them to do things like unlock users’ computers by recognizing their faces. Even if it’s not realistically that huge of a time-saver, Klik is a pretty nifty parlor trick. That goes for other facial-recognition apps, too. But at the same time, facial recognition is right on the edge of many people’s Internet creepiness comfort level. Facebook touched off a privacy backlash last year, especially in Europe, when it enabled automatic photo tag suggestions. And Google has sworn it won’t do mobile facial recognition. Google built such technology, but decided never to release it because of the potential for abuse, Google chairman Eric Schmidt said at D9 last year. Since then, Google+ did introduce a photo recognition feature — but it’s only enabled for the faces of people who have opted into it. Klik does limit its facial recognition to people you already know. Once you submit your Facebook credentials, the company crunches all of your photos, your friends’ photos and the photos in which you and your friends are tagged. That is often a ton of pictures of faces — and it can take up to a full day to import and analyze them. Face.com, which raised $4.3 million led by Yandex in 2010, told me it is near profitability, based on charging a sliver of top developers for API usage.